Wine&Dine Holidays are the experts in Italian food culture, art, history and golf tours in Castelli Romani south of Rome. Wine&Dine provides its clients with unforgettable vacation experiences. With this partnership you can stay in the beautiful vacation villa “Villalba” and enjoy all the extensive services from Wine&Dine Holidays. Wine&Dine Holidays is an experienced team of professionals, with international experience in all aspects of travel and holidays industry. They want to share the Italian lifestyle with those passionate of Italian food culture, art and history and that’s why Wine&Dine Holidays has been created. Wine&Dine Holidays create packages focusing on the Castelli Romani area, food and wine (but not limited to) dedicated to foreign tourists, mainly from Northern Europe. They are also specialists in arranging golf tours using the outstanding golf courses featured in Castelli Romani. Those interested in eating great fresh and tasty food without worrying about shopping, cooking or cleaning, can book an English speaking chef cooking for you. 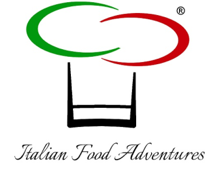 You will enjoy interacting with the chef Roberta or Gianni, learning about the recipes and asking her/him which wine to pair best with the meals. • Castelgandolfo Golf Club. A Par 72, 18 holes. • Marco Simone Golf & Country Club. Roll up your sleeves and learn how to prepare Italian starters and pasta sauces. Improve your skills as pasta master, discover the secrets of authentic Italian pizza, or treat yourself to a moment of sweetness! IFA Cookery School provides you a 3 hour cooking class at IFA Cookery School, followed by the eating of the dishes prepared and some local wines. Here you can get private guided tours to museums, squares, exhibitions, archaeological sites and more. We also offer "Skip-the-line" tickets. The region of Castelli Romani offers a selection of fine wines, especially white. So, if you have a passion for Italian ancient wine history or simply would like to get a better understanding of the local wine industry, where better than here on your doorstep ! There are some local wineries that offer the possibility of a visit to their wine cellars and a taste of their best wines.